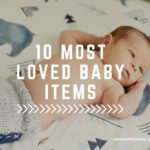 Recently I have been asked for some of my must have baby items… I guess having 3 kids makes me a parenting expert now…ya right, I’m just trying to survive until nap time by sneaking bites of my kids piñata candy from the last 3 birthday parties they attended – p.s. Dear parents, piñata candy is lame…please buy small sized reeses and hersheys and maybe throw in a few Lindor truffles next time for the mommas who need a little pick me up. 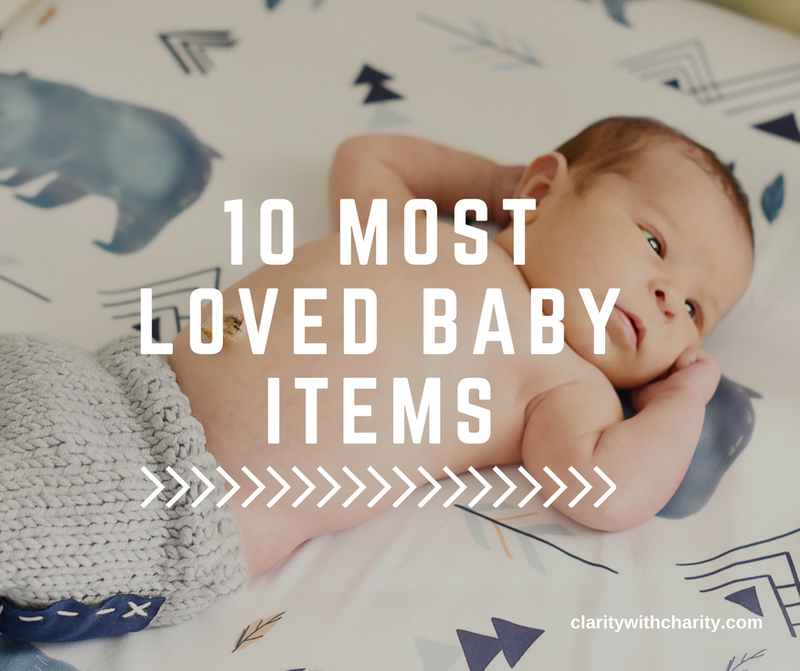 In the spirit of making Mommas lives a little better I want to share with you my 10 most loved baby items. Hey! Guess what!!!!!!!! Since the last time we chatted I had a baby! Wooohoo! The much anticipated arrival of Ezekiel came about 2 weeks ago. I personally love hearing war birth stories because let’s be real labor and pushing out a baby may be about as close to fighting a war as I get, so I thought I would share mine here. Ezekiel was induced. My body does this interesting thing where it dialates without being in active labor. I had already been at a 4, without active labor for 2 weeks and my OB was very surprised (as was I) that I had made it to my due date. Alrighty….39 weeks and counting…hopefully by the time you read this I will be snuggled into my hospital gown, serenely laying on my hospital bed screaming “I WANT AN EPIDURAL!!!”…. 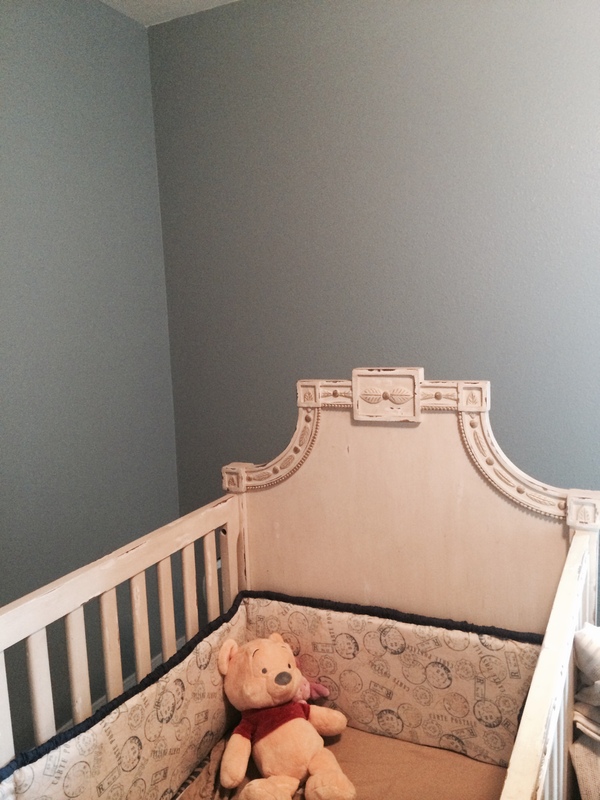 Anywho…onto much more wonderful mental images….like Zeke’s cute nursery that we just finished this past weekend. I always love looking at pictures of nurseries…because they’re just sweet. However, this isn’t just your typical look at my cute nursery post so you can pin it on pinterest…. 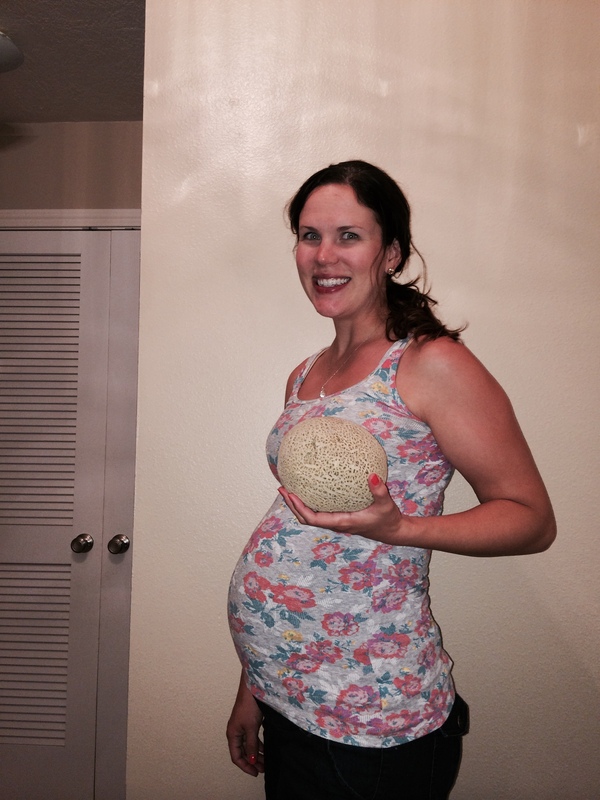 I am nearing the end of my 5th pregnancy! 2 of my beautiful babies I will meet in heaven someday. So I have had 3 full term pregnancies. Crazy…It still boggles my mind the amount of weird, uncomfortable and downright annoying things that can happen in pregnancy. I have experienced several of them and many I fortunately have not experienced. 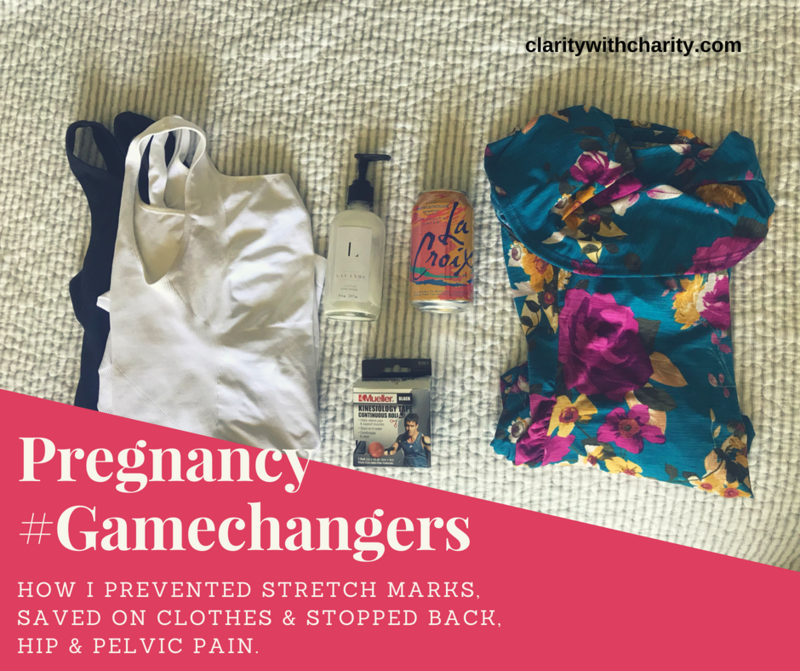 I have found through my experiences there are a few products I highly recommend to help ease the annoying and uncomfortable parts of pregnancy! 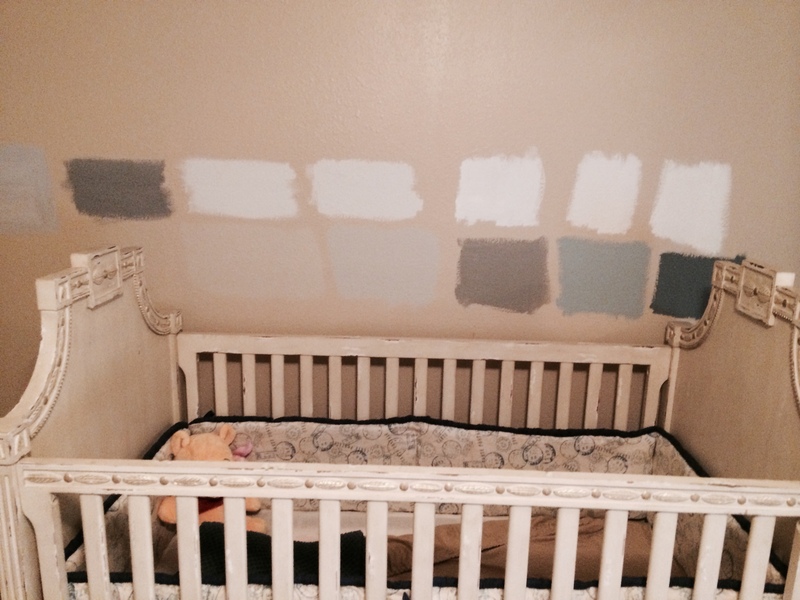 I have a confession to make….I am slightly completely obsessed with paint samples. 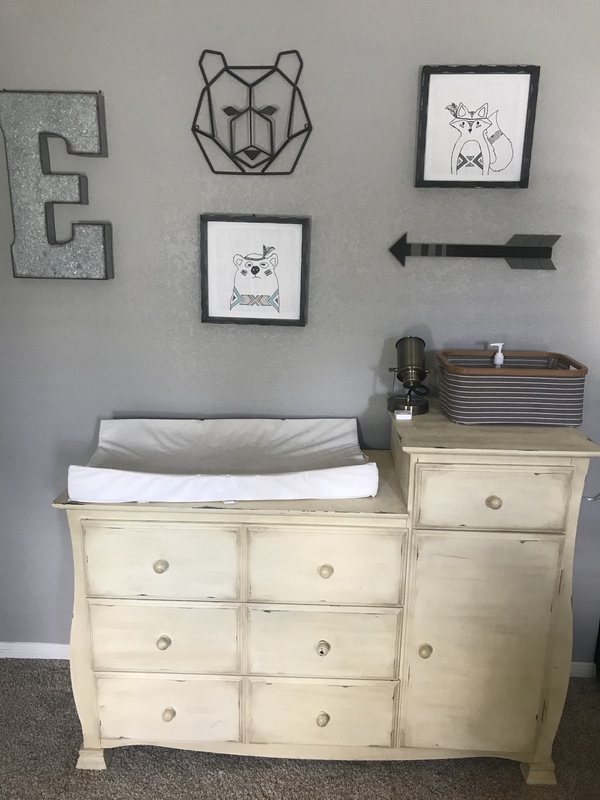 Picking the color for baby boy’s nursery was no exception…I not only used my own collection, but the samples from a few friends DIY projects. I know…. I know…its kind of ridiculous…. Although not as ridiculous as being personally known by the paint lady at the Home Depot…”Back for more samples?” she smirks with a twinkle in her eye. But, I think she’s on to me…. Rene and I actually set the record for the largest amount of paint samples bought for one room, in our former town’s Home Depot… they should give you a coupon…or a punch card for that….buy 10 samples….get the 11th free! And I chose the one on the far left. I gave the room one coat…left for a few hours…came back…and I HATED IT!!!!!!!!!! 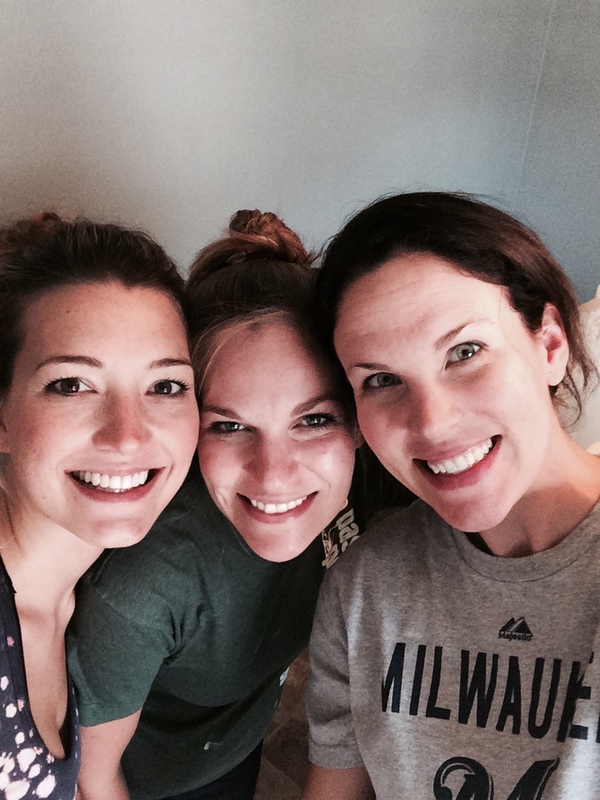 At church the next day…I found two friends with great DIY skills and even greater hearts. I gave them a hug, and silently pledged to not let go until they promised to come and tell me what color to paint baby boy’s room. Noting the slight absolute look of pre-natal nesting hysteria in my eyes...they not only came and helped me pick another color but also helped me re-paint the entire room. The winner is…. “Flint Smoke”….2nd from the left…however when I painted the sample on the tan wall it looked like Bright Teal (even brighter than it shows in this photo). When I painted it on the newly painted wall, it gave a completely different dimension to the color which I absolutely loved! Turns out I wasn’t a paint sample hoarding, hysterical Momma Bear after all. I just needed a new perspective to help me see that “Flint Smoke” was the perfect color. My painting fiasco reminded me that sometimes when we are faced with a problem we just need a different perspective to help us find a solution. I was thinking about all the times in life when a situation has seemed overwhelming, unjust, tragic, or impossible to my own human understanding, until I spent time with Jesus and I was able to understand His perspective and it changed everything! I also believe that God uses His people to help give us a needed perspective shift. 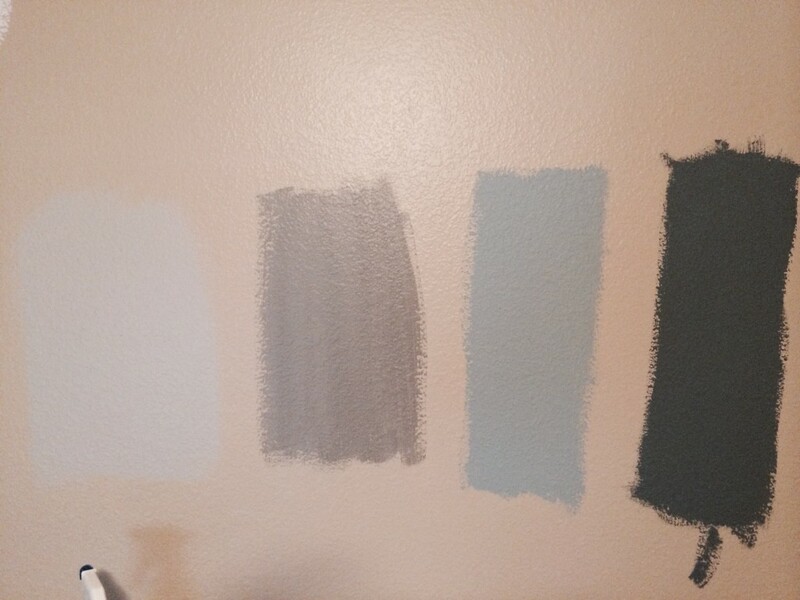 If my friend hadn’t suggested re-trying the paint samples over the new color, I never would have found the perfect color! I thought we needed to go and get a completely new batch of paint samples. Fortunately her new perspective on my problem saved me from the humiliation of being “that indecisive preggie lady” visiting the Home Depot paint counter for the billionth time. We are blessed with wisdom when we seek wise counsel! What about you? What helps give you a perspective change? Anyone else out there a paint sample connoisseur? 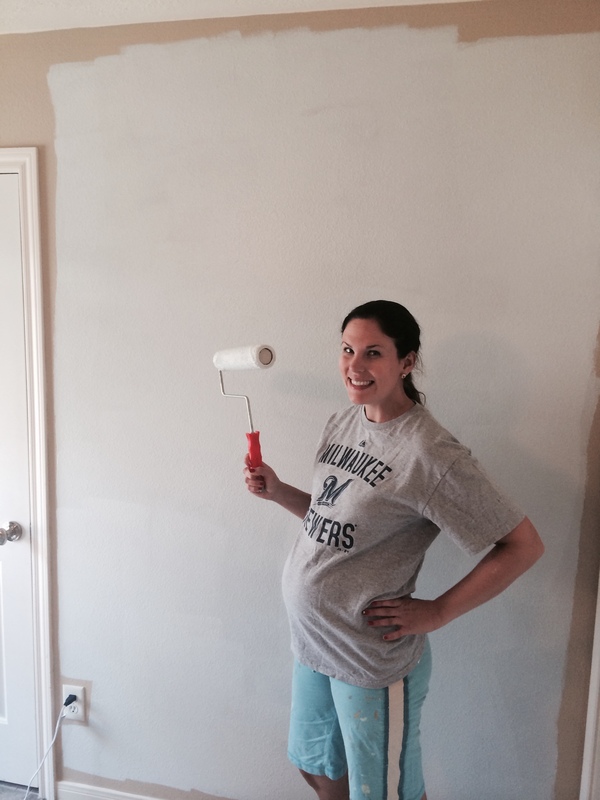 Have you ever painted an entire room and hated the color? How does pain become bearable? 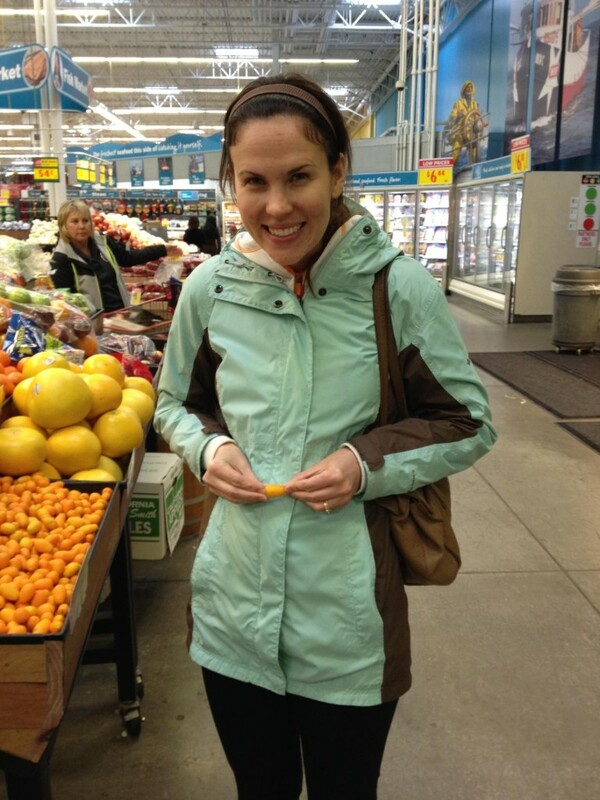 Lessons from my birthing class and the grocery store. How do you respond to pain? Do you silently muscle through it? Clenching your jaw and holding silent stress in every muscle in your body? 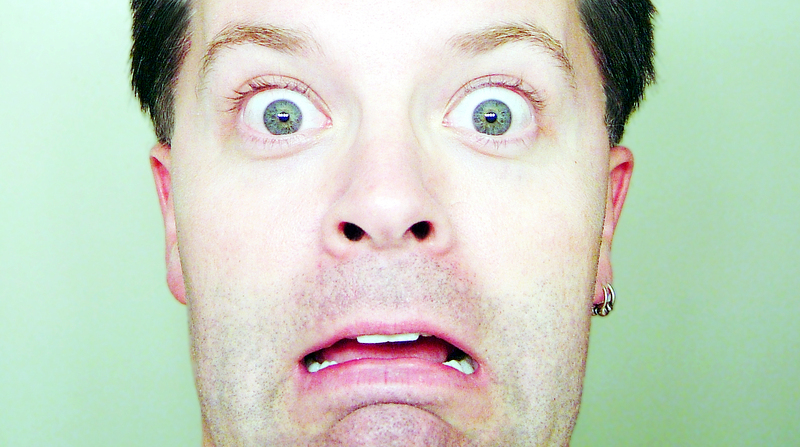 Are you a screamer (like me) who feels compelled to verbally process every ounce of pain you are experiencing? Some people seem to almost enjoy the process of pain…friends who train for tri-athletic events on Saturdays come to mind. I don’t enjoy pain and I don’t look for it. I am careful to avoid pain. I do yoga, pilates and water aerobics. Throughout junior high and high school I avoided contact sports and participated in theater. I decided to be the team d.j. instead of a player on our church’s kickball team….yes I am terrified of a ball hitting my head and yes I am in my 30’s. I don’t like dogs that are big, bark, or jump on you and I have been known to cross to the other side of the street when I hear one barking. Emotionally I try to avoid pain by keeping everyone happy…this works…. so well never. I am also more inclined to apologize for someone else’s mistake than call them out and watch them suffer a consequence or work through awkward tension. This picture makes me look like a giant flower bush!!! You may be surprised to hear that this self admitted pain avoider is planning and preparing for a natural, drug free child birth…I shudder a little whenever I say that phrase. I am not a woman with a list of 100 reasons why epidurals are evil and believes there is any greater glory to be found in a natural vs. pain medicated childbirth. Any woman who has gone through the challenges and difficulties of pregnancy and delivery of a child whether by c-section, naturally or with drugs is my hero. I have read my fair share of articles on the benefits of an epidural free delivery, but that is not the reason we are choosing that route. The reason we are preparing for a drug free, natural vaginal delivery…comes down to a conversation between me and Jesus. Jesus: Natural delivery without an epidural. Charity: Maybe we should talk about this later. Fast forward this week’s Bradley Birthing Class, where we were welcomed to class with the announcement that we were going to have a labor rehearsal…rehearsal….that’s one word a theater nerd understands. How do you properly rehearse for something as dreadfully unique as labor and childbirth? Turns out…you can’t…. but there are different relaxation and breathing techniques that you can practice with your birth coach (my awesome husband, Rene) to be more prepared for labor. Our labor rehearsal consisted of each woman being given a bucket of ice water. We were instructed to lie in a comfortable position and close our eyes. Then our teacher told us to put our hand in the water and not to remove it until instructed. For the first round of our ice bath our birth coaches were not allowed to touch us or talk to us. I also had no idea how long my hand was going to remain suspended in ice. That was one of the worst and longest 60 seconds of my life. 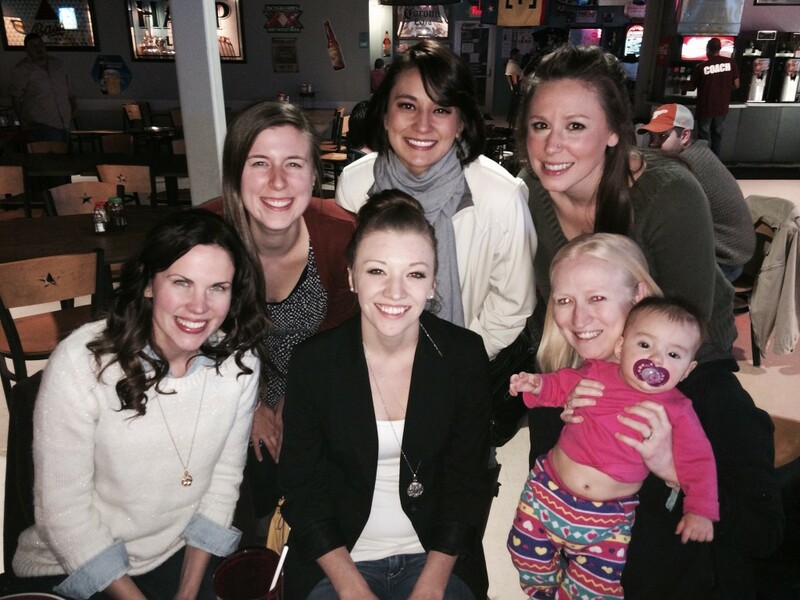 My husband told me later he thought I was going to start crying… because I WAS! It took every ounce of energy and self control I had to not remove my hand from the water. The worst part of the experience was feeling so alone. I knew people were around me, but no one, including my husband could talk to me, touch me or give me an indication of when the torture would end. The second round was better, because our instructor gave us a verbal countdown of how many seconds remained. The third and fourth rounds felt like heaven, for one simple reason: my coach could talk to me and touch me. Rene did such an amazing job of encouraging me, rubbing my back and reminding me of beautiful places we have been together…like the beach! The activity went from torture to bearable with the insertion of one variable: encouragement! I left the activity believing that I could actually survive labor without an epidural and realizing how thankful I was that Rene was going to be by my side because he is such a great encourager. I was thinking about the power of a simple encouragement the rest of the night and it reminded me of earlier that day when I was at the grocery store. I was headed towards the toilet bowl cleaner when I noticed a woman walking slouched with deep weariness. 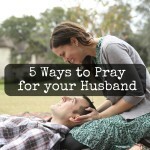 I felt the Holy Spirit nudge my heart to go and ask her if there was a way I could pray for her. After working through my fear of how awkward and weird it would be to stalk someone in the dairy section and then talk to them about prayer…I went ahead and found her and asked if there was a way I could pray for me. She responded by telling me I should probably get out some paper, because her lists of requests was that long. What she was walking through was one of the most difficult situations I have ever heard. At one point she stopped, looked at me and said with tears in her eyes, “thank you so much for asking” and then she hugged me in the middle of the dairy aisle like she had needed a good hug and a long cry for a decade. I cried too and I prayed, asking Jesus to heal every place that needed healing and encouraged her that “Jesus loves you and He has His eye on you.” And then we both cried and hugged again next to some very confused customers buying their eggs. She told me that day she had no idea how she would even make it through the end of the day. She felt so defeated in every way: physically, emotionally and spiritually…. The presence of another human being listening to her story. An embrace between 2 strangers, reaching beyond social norms, to simply say – I hear your pain, I care and I believe in you. It gave her the hope she needed to persevere through the rest of the day. I wish I never missed or ignored an opportunity to encourage people. But I do. We need each other, we weren’t made to journey alone. 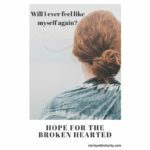 If you want to be a hope giver, find someone today with their lives stuck in a bucket of despair, in their real life drama starring pain and discouragement and offer them encouragement. I’m curious to know other reader’s labor experiences? How did you make it through? Who were your main encouragers through the process? Do you find yourself, like me, distracted and often unaware of those around us needing encouragement? How has someone encouraging you helped you through a tough time? 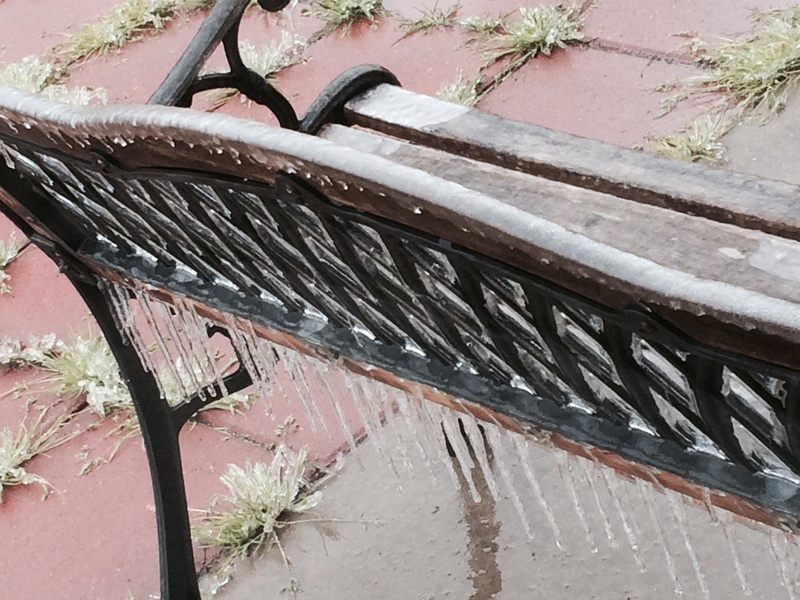 Baby Bean, Moving, Ice Storms, Kumquat and why I am thankful for Iron…. Wow, it feels like we haven’t chatted in forever. I hope you are doing awesome!!!! There has been so much going on the past week and a half that I haven’t had a chance to check in…so this should be an action packed update! 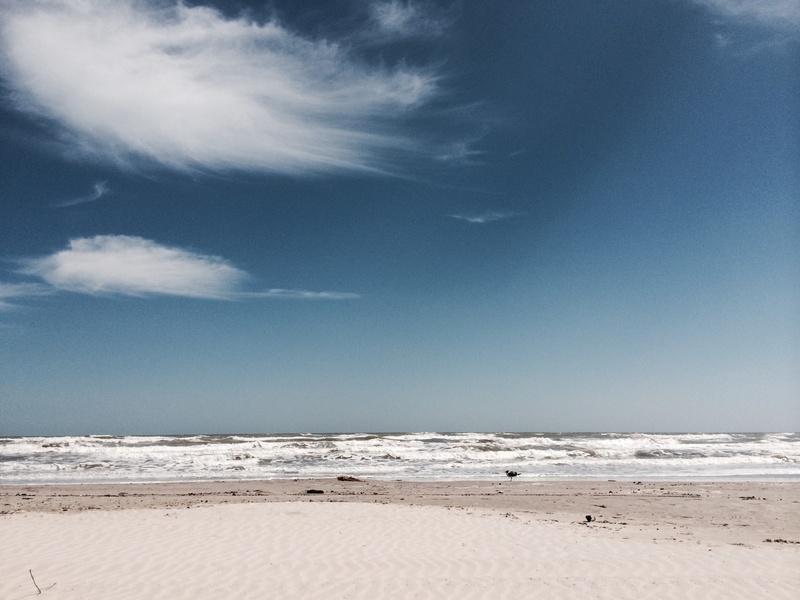 After saying good – bye to some of our favorite people and places in Corpus Christi, we have officially moved! 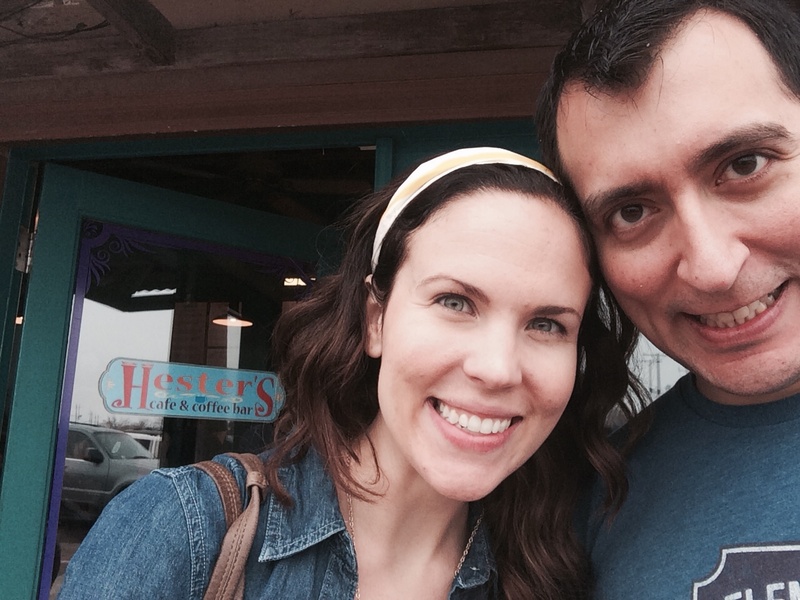 We’re going to miss our Saturday breakfast dates at Hester’s! I have no pictures to share of our house covered in wall to wall boxes, because lets be honest I would like to forget that ever happened..especially since we are renting so I know we will have to do this all again someday. 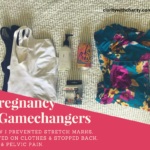 We were so blessed that my hubby’s company paid for movers – wow, movers – can I just say having someone come and pack your stuff, and then unload it is my favorite way to move – especially when you are preggo. I think I would still be back in Corpus Christi packing if it hadn’t been for that present from Jesus! How are Jaxon and Sparta adjusting to their new life ??? 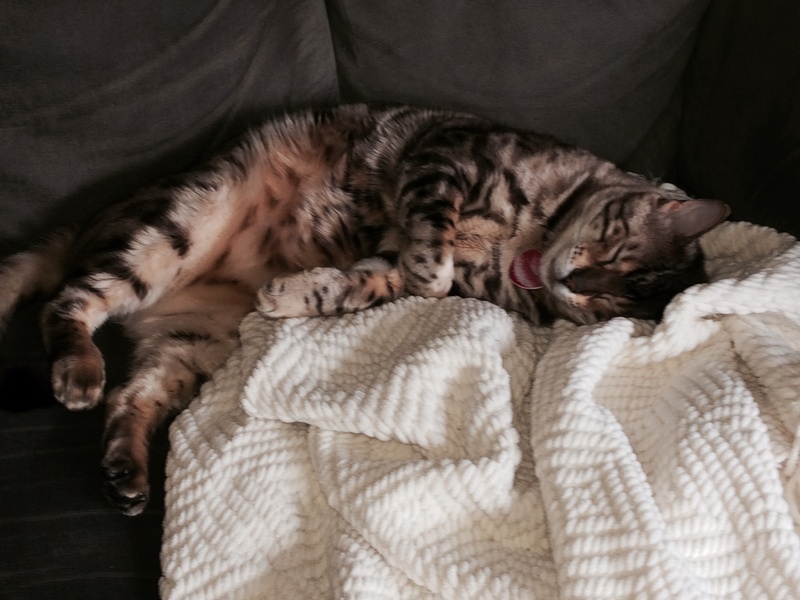 ?…all they needed was our their couch and our their favorite blanket to feel right at home. 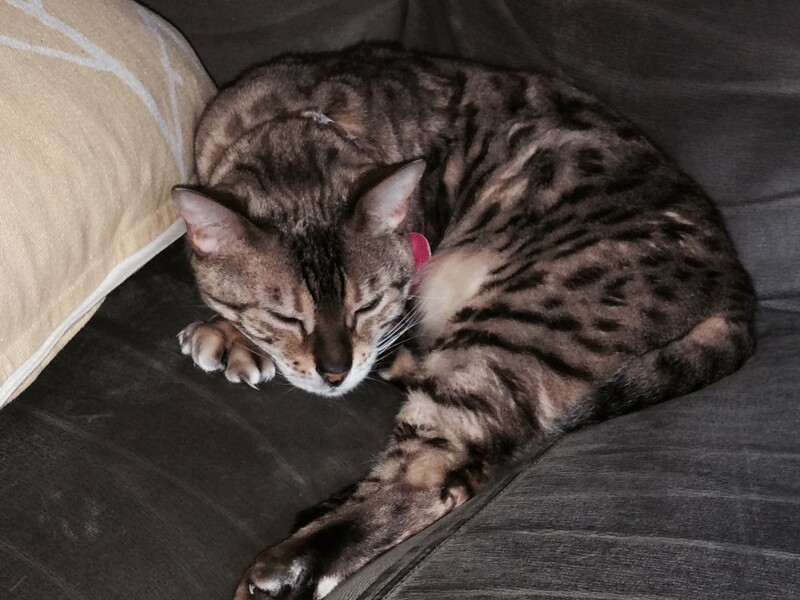 I think its unfair for me to lose couch access because of these sleepy felines…but they look so cozy I don’t usually have the heart to move them….especially when we experienced a freak March ice storm our first week living in Central Texas. I am so glad you didn’t see I wish you could have seen my husband and I frantically searching for something to scrape the ice off the car at 6:30 a.m. Just a quick note for all the Texans who don’t have ice scrapers – giant barbeque spatulas work great! And now for the most exciting part of this post…Baby Bean Update! I am in week 12, which according to some people is the 2nd tri-mester although some sources say its the end of the 1st trimester. What do you think? Week 10: Baby Bean is the size of a Kumquat, which I learned is a garnish for beverages. And at $7 a pound…that’s all I could use it for. Try saying “Kumquat” 10 times fast without smiling…Its impossible to not smile when you are repeating that silly word! 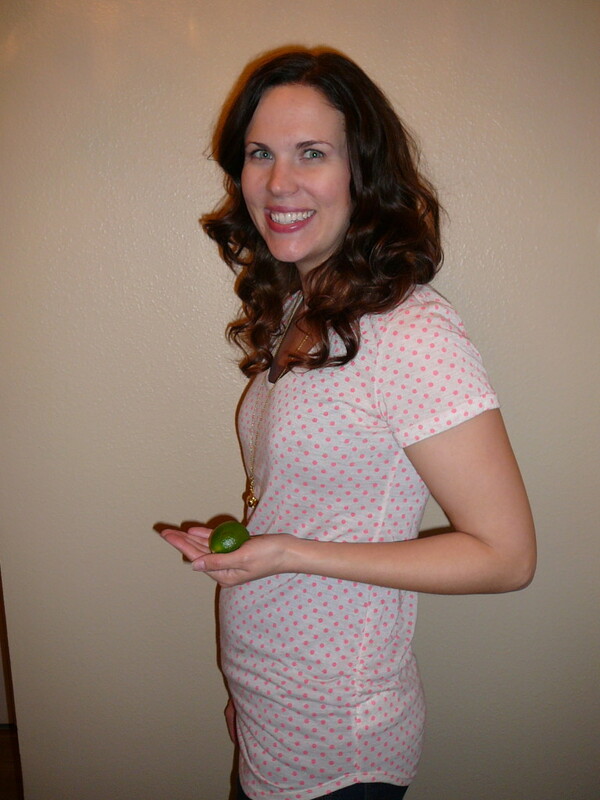 Week 11: Baby Bean is the size of a Lime! Week 12: Baby Bean is the size of a Plum. Thanks so much for all your prayers for a healthy pregnancy! We met with our doctor before leaving Corpus for a last visit (so sad to leave her, she is truly amazing!) and she said everything was going really well! We did find out at that visit that my iron levels were really low, which explains why I needed as much sleep as a 1 year old. Having never made it this far in pregnancy I didn’t realize that needing 10 – 12 hours of sleep at night and a 2 naps every day, while still feeling fatigued wasn’t normal. Ooooppppsss… Thank you Jesus for my Iron prescription, the first day I took it last week I felt like a different person!!!!! I still enjoy squeezing in a nap everyday but I don’t need as much sleep and I have lost the feeling that every movement I make is as difficult as trudging through mud. More beef for me I guess…good thing I live in Texas!!!! 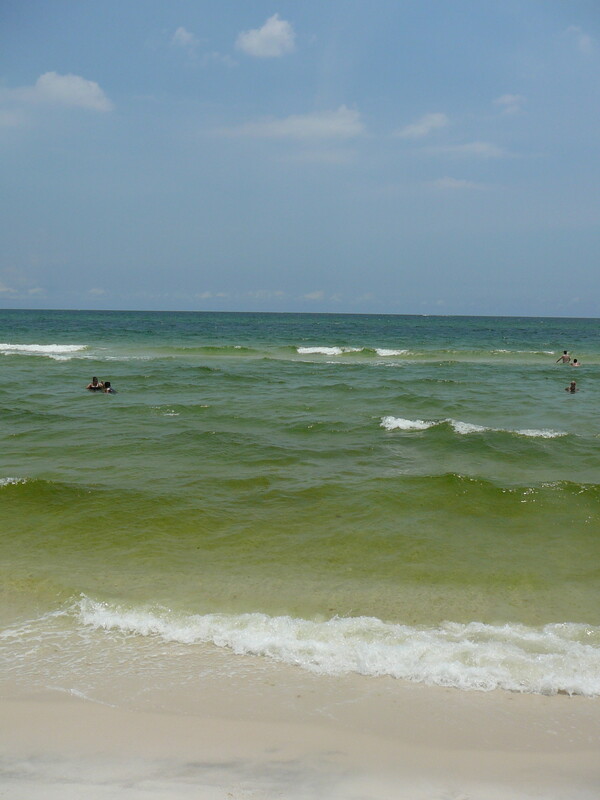 Are you on Spring Break? What are you doing for your break? Have you experienced iron deficiency before? When did your first tri-mester symptoms disappear??? 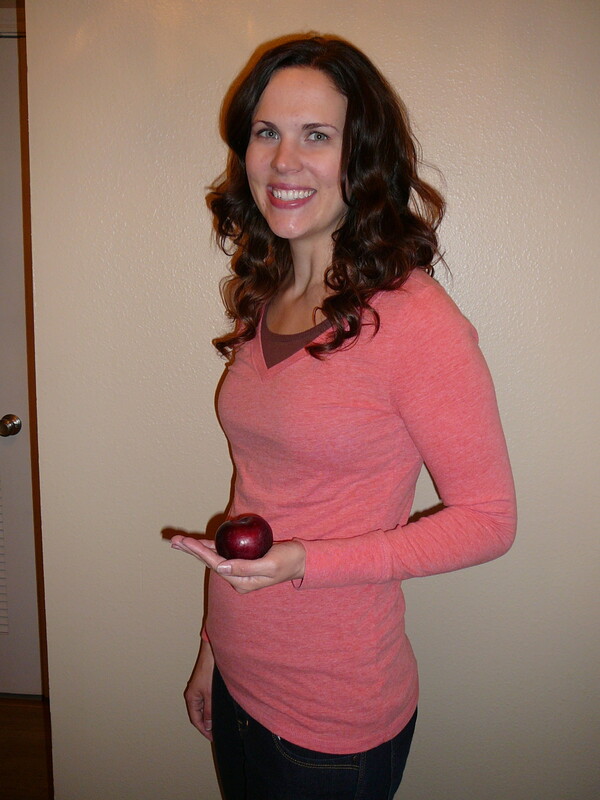 – I am still waiting for that amazing 2nd tri-mester energy burst everyone raves about!!! !